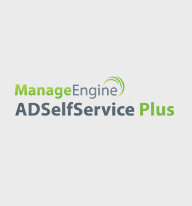 'Password Self Service' by ManageEngine ADSelfService Plus helps CIMTAS save time. Eliminates non-value adding activities of IT staff. ABOUT CUSTOMER: CIMTAS is an engineering, fabrication and erection company with global coverage incorporated in 1973 in Turkey, as a fully owned subsidiary of the world leading contractor ENKA. CIMTAS engineers and fabricates to ISO, ASME, CE requirements Pressure Vessels and Heat Exchangers, HRSG's, Storage Tanks, Power and Process Pipe Spools, Wind Towers, Bridges, other Steel Structures and assembles Process Skids. With its advanced manufacturing technologies, information and b2b systems dedication to Kaizen and Six Sigma like continuous improvement tools, commitment to Zero Accident Safety Policy, special emphasis on Customer Satisfaction, ideally located subsidiaries and valuable references, CIMTAS is a World Class One-Stop Global Shopping basis aiming to become 'Best-in-Class'. CIMTAS fabrication activities are carried out at Gemlik Works, Gemlik Pipe Shop in Turkey and Ningbo Shop in China, which are all equipped with the latest technology. With a workforce that is spread across the world, issues related to forgotten passwords and locked out accounts became a perennial problem for their IT staff. The routine helpdesk calls for password reset and account unlock were taking a toll on them. "Resetting passwords was a non-value activity for IT", said Erdem Aksoy, Chief ITSM at CIMTAS Group. But, CIMTAS's IT staff were spending a lot of time on such non-value adding activities. A solution that will reduce the burden on IT staff from resetting users' passwords and updating personal details of employees in Active Directory was the need of the hour for CIMTAS's IT department. 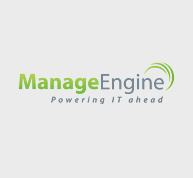 Being a patron of ManageEngine, CIMTAS came across ADSelfService Plus, the web-based, self-service Active Directory password reset management program. ADSelfService Plus's highly secure self-service features, which allow end-users to reset their passwords, unlock their accounts and update their personal details in Active Directory without any assistance from IT personnel, proved to be very effective in bringing down helpdesk tickets. Why ADSelfService Plus was chosen? ADSelfService Plus offered the perfect solution to CIMTAS. By giving the power of self-service to end-users, IT staff at CIMTAS are no longer burdened with non-value adding activities. With its highly secure, web-based, self-service password reset and account unlock option ADSelfService Plus was able to reduce one of the main source of helpdesk tickets. The employee self-update feature, which allows end-users to self-update their personal information in Active Directory, came as a huge relief for the IT staff, as they no longer have to spend endless hours on collecting and updating employees' profile details in Active Directory. Apart from the rich feature set, the web-based intuitive UI, ease of use and the cost-effective pricing model were the other key highlights that made choosing ADSelfService Plus a no brainer for CIMTAS. Deploying ADSelfService Plus has had a profound impact on the IT staff of CIMTAS. They are no longer spending any time on non-value adding activities such as password reset and employee directory update. 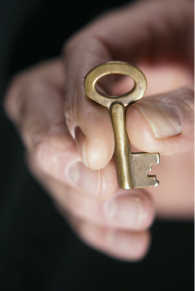 "IT is not spending time on resetting passwords and changing personal details on AD anymore. It's taken care by ADSelfService Plus now", beamed Erdem Aksoy, Chief ITSM at CIMTAS Group. ADSelfService Plus has not only improved employee productivity, but also reduced helpdesk cost associated with non-value adding activities at CIMTAS.